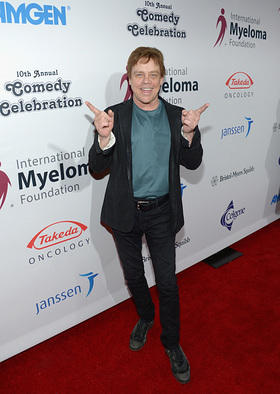 Last week, the International Myeloma Foundation (IMF) presented its 10th Annual Comedy Celebration benefiting the Peter Boyle Research Fund and supporting the Black Swan Research Initiative (BSRI) at The Wilshire Ebell Theatre in Los Angeles. Attendees included Peter Gallagher (Law & Order: Special Victims Unit, New Girl) with daughter Kathryn Gallagher, Mark Hamill (Star Wars), Howard Hesseman (Wild Oats) with wife Caroline Ducrocq, Domenick Lombardozzi (Rosewood, Boardwalk Empire), Lesley Nicol (Downton Abbey), Alex Meneses (Everybody Loves Raymond), and more. In celebration of the event’s 10th anniversary, the evening honored Peter Boyle’s widow, Tony Award-winning producer and Event Chair Loraine Alterman Boyle, for her inspirational dedication and passion toward finding a cure. Following Peter Boyle’s passing in late 2006 from myeloma, Loraine founded the event to help raise money for research to find a cure. 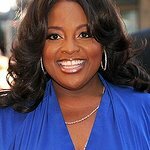 Since the first event in 2007, the annual celebration has featured over 50 celebrity comedians and musical performers, and raised over $5 million for the Peter Boyle Research Fund, which has supported the International Myeloma Foundation’s research. This year the IMF has achieved the unprecedented ability to launch two targeted Cure Trials. Prior to the show, attendees enjoyed a silent auction featuring iconic memorabilia and other one-of-a-kind items and experiences to benefit this important cause. Among the featured items was a pair of highly-coveted runway tickets to Rodarte’s Fall-Winter 2017 Fashion Show during New York Fashion Week on Tuesday, February 14, 2017. The tickets are also available for bidding nationwide on Charity Buzz, with proceeds going to the International Myeloma Foundation.